Delicious, almond-scented, whitish-pink, early spring flowers and mid-green leaves, emerging bronze-tinged. 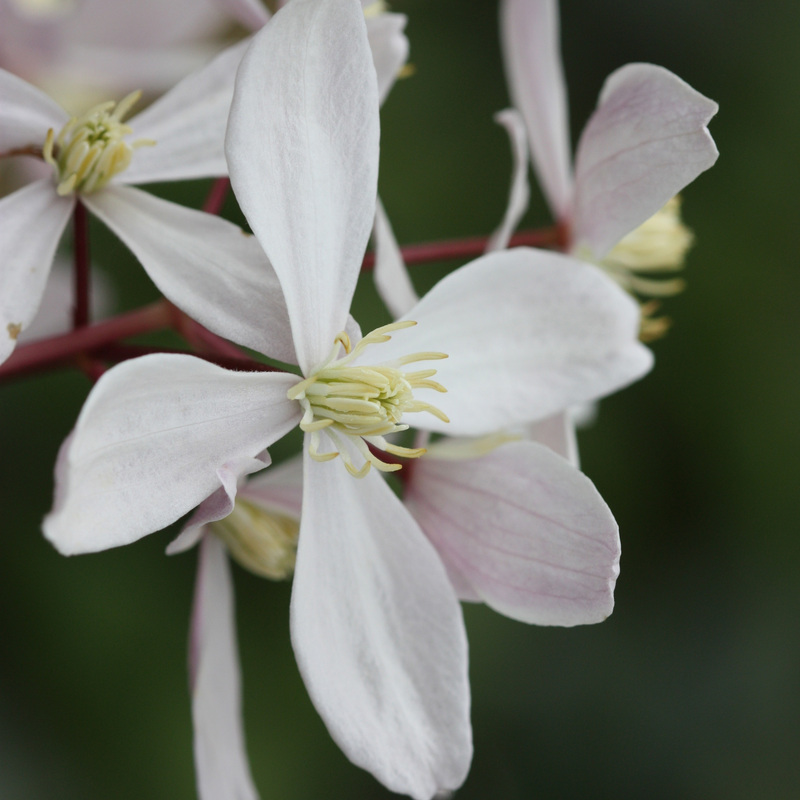 This vigorous, evergreen clematis is ideal for a sunny, west- or south-facing site. For maximum enjoyment of the sweetly scented flowers plant next to a house entrance or well worn path, allowing plenty of space for the plant to grow. Please be aware that this plant is toxic to dogs if eaten.